Line containers of choice with plastic wrap. Soften the gelatine leaves in ice water for 5 minutes. Meanwhile, bring half the red grape juice and half the mango and peach juice to a boil in separate pots. Once boiled remove from the heat. Squeeze out the gelatine leaves and place 3 in each of the heated juices. Stir until gelatine dissolves completely. Add the remaining juice and pour into containers. Refrigerate until firm, about 4 hours. 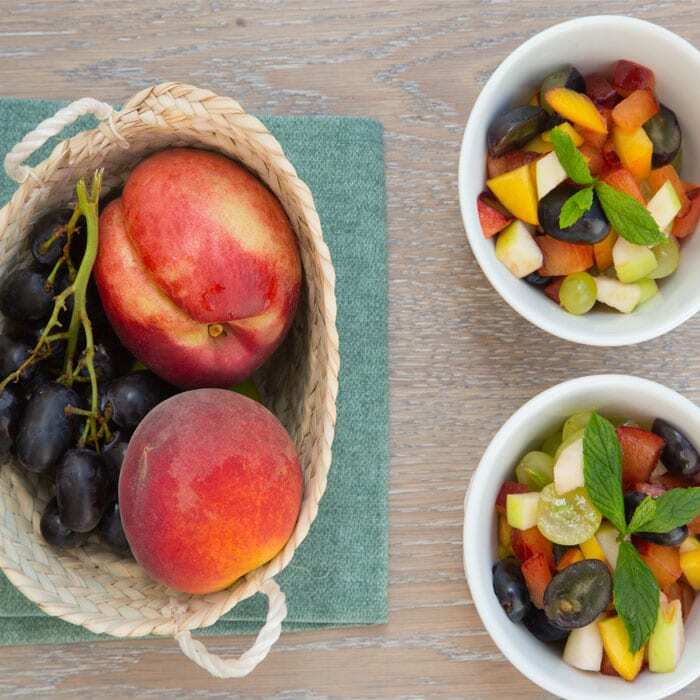 Toss together the fresh fruits and sprinkle with jelly cubes.